Rob Carr/Getty ImagesJustify is just one win away from making Triple Crown history after dominating at the Kentucky Derby and Preakness Stakes — but with the gruelling Belmont Stakes set for this weekend, there’s a few horses that could spoil his run. This Saturday will mark the 150th running of the Belmont Stakes, with Justify looking to continue his undefeated streak and make history, building on his dominant performances at the Kentucky Derby and Preakness Stakes. Racing against him will be nine other horses eager to spoil the day, with some familiar faces among the contenders as well as a few new horses running on fresh legs hoping to catch Justify sleeping. While the cheering public will merely be rooting for Justify to complete the historic feat, it’s no secret that the extra distance of the Belmont Stakes makes for an unpredictable final stretch where anything can happen. Below we break down the six horses with the best odds to upset Justify on Saturday. Why he can win: Hofburg was bred for distance and has raced just three times this year. His owners, Juddmonte Farms, have played spoiler before, with Empire Maker winning the Belmont in 2003 to ruin the Triple Crown hopes of Funny Cide, who finished in third. Like Empire Maker that year, Hofburg sat out the Preakness Stakes in order to have fresh legs for extra length of the Belmont Stakes. 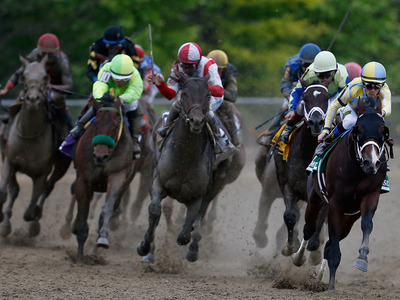 Reasons to be wary: While this year’s Kentucky Derby was a sloppy track and might not be the best race to analyse a horse’s worth on, it’s also the only time Hofburg has faced substantial competition. He finished in seventh. Why he can win: Aside from Justify, Bravazo has been one of the strongest horses running the past two legs of the Triple Crown. His second place finish at the Preakness Stakes featured an astonishing closing run that could suggest he’s the horse to catch Justify should the favourite run out of steam at the end. 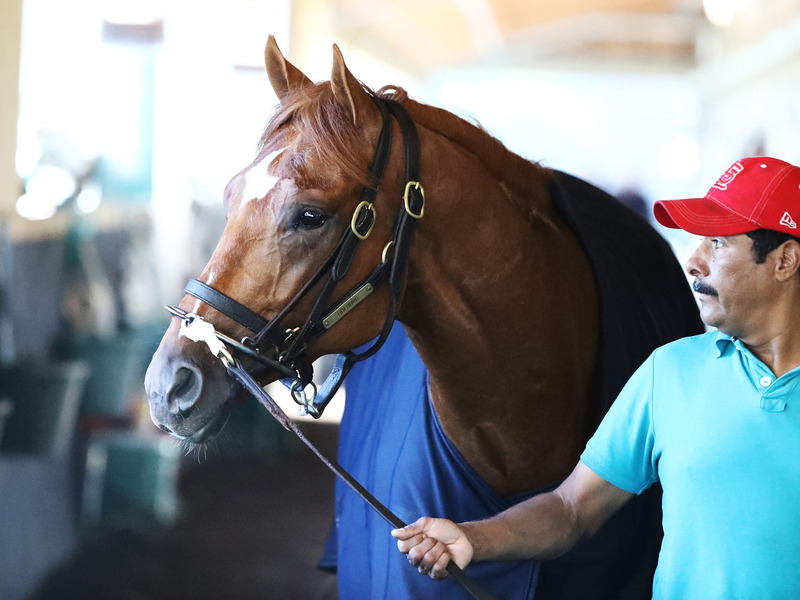 Reasons to be wary: While Bravazo’s burst at the Preakness was a marvel, there’s no doubt he could also fall to the distance of the Belmont Stakes – it’s much easier to believe in a horse’s closing speed when you know they’re running on rested legs. Why he can win:Vino Rosso was bred for this race, sired by Curlin who lost the Belmont by a nose in 2007. Trainer Todd Pletcher knows how to train a horse to run this distance, having won the Belmont Stakes three times in his career including last year. 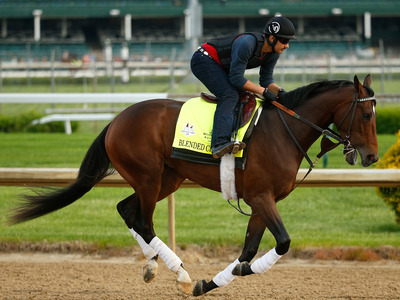 After skipping the Preakness, he’ll be running on relatively fresh legs. Reasons to be wary: He’s raced Justify and lost to him before – he was essentially a non-factor at the Kentucky Derby where he would eventually land in ninth place. He’ll have to improve on that showing quite a bit to catch him, even if Justify were to falter late. Why he can win: Gronkowski has won four straight races and has been looking to test himself against a field of this talent. He was unable to run at the Derby due to an infection, and thus has never faced this quality of competition. On the whole this might be seen as a disadvantage, but with regard to the possibility of him taking down Justify, he’s one of the only horses in the race that we can say has never lost to the potential Triple Crown winner. Reasons to be wary: He’s never run further than a mile. He’s never raced on dirt. While every horse will be adjusting to the distance of the Belmont, the shift will be more dramatic for him than any other horse in the field. Also, his name will generate a ton of bets from New England fans, driving his value down. Why he can win: Like Vino Rosso, Tenfold was sired by Curlin and bred for distance. His third place finish at the Preakness was a well run race that still had room to improve. Reasons to be wary: At the Preakness Tenfold and Bravazo were both knotted together in the field chased down Justify and Good Magic in the stretch. Tenfold finished third, and Bravazo second. He has a fantastic potential burst for the finish, but we already know there’s a horse in the field with a better one – we watched it play out just a few weekends ago. 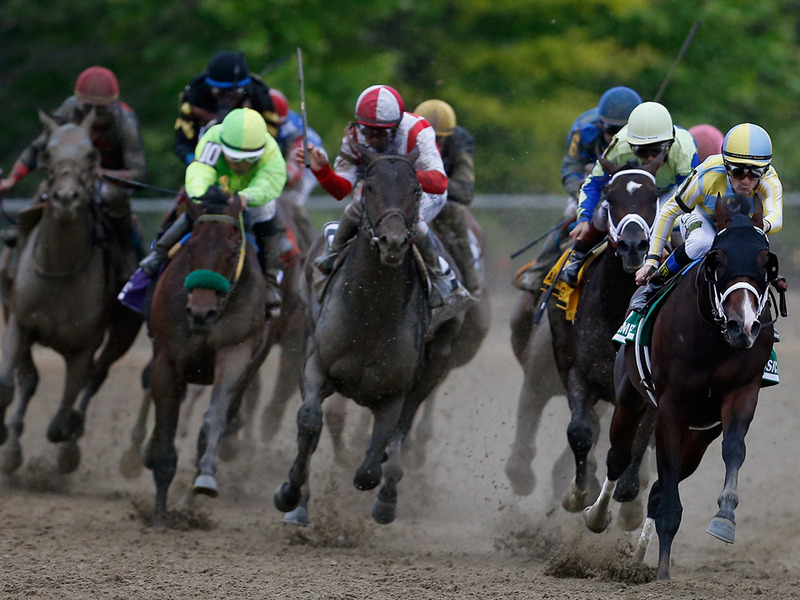 Why he can win: Blended Citizen has a combination of rest and ability you want out of a Triple Crown spoiler. He was the substitute for the Kentucky Derby had any horse had to scratch, but instead watched the race from the sideline. He’s been in fine form since. Reasons to be wary: In the past 100 years, just one horse has ever won the Belmont Stakes starting out of the tenth gate. Can Justify hold them off? The reason so many horses fall short at the Belmont after fantastic runs through the first two races of the Triple Crown is the combination of the extra distance and the exhaustion carried over from the previous two races. 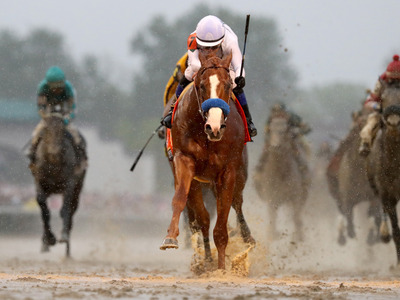 Justify’s runs at the Kentucky Derby and Preakness Stakes both were ramped up a few degrees of difficulty thanks to sloppy conditions, and likely took even more out of him than they would have through a more temperate year. With Justify running out of the post, he might be forced to jump to the lead and match an early pace – the speed of which could determine whether or not he has anything left in the homestretch. It’s not difficult for me to imagine Justify losing his dominant cruising speed for the final lengths of the race and getting caught at the wire. That said, if any horse can overcome two muddy tracks and a third field stacked with talent some of whom are running on fresh legs, it’s Justify. He’s massive, and racing fans have hardly seen him break a sweat through the first two legs of the Triple Crown. He’s never lost a race in his life, and watching him run just once makes it apparent why. I’m not sure if I’ll be betting on Justify to win yet, but I know I’ll be rooting for him.